Assessment is a cornerstone component of all classrooms. However, what does assessment look like in a blended learning environment? This course focuses on assessments with the iPad. You will learn the difference between a formative and summative assessment, various formative tools available, as well as summative rubrics for student-created projects. Watch Setting The Stage For Creating Online, Interactive, Dynamic Assessments with the iPad. Consider the different ways you use technology to strengthen learning experiences. Assessment is the secret sauce of a blended learning environment. Explore the links below and discover great ways to use the iPad to assess students. Emphasis on Task Design: Assessment is the foundation of the blended learning classroom. As you learn more and more about the apps and sites that are available you will see that collecting data will become an integral part of your classroom. This data can enrich your instruction as it will be a path for what students know and identifying learning gaps. In the videos below, look for two things. First, what tools are being used? Secondly, how are the tools being used to inform instruction? What are your current formative assessment practices? How do formative assessments differ from summative assessments? How often do you complete formative assessments? How do you use the data? How are the assessments different in the videos? Which assessments would be considered summative? How would the summative assessments be graded? Have you tried any of these tools before? If so, would you use them again? As you start to see the different types of projects students can create on the iPad, what are you most excited about? 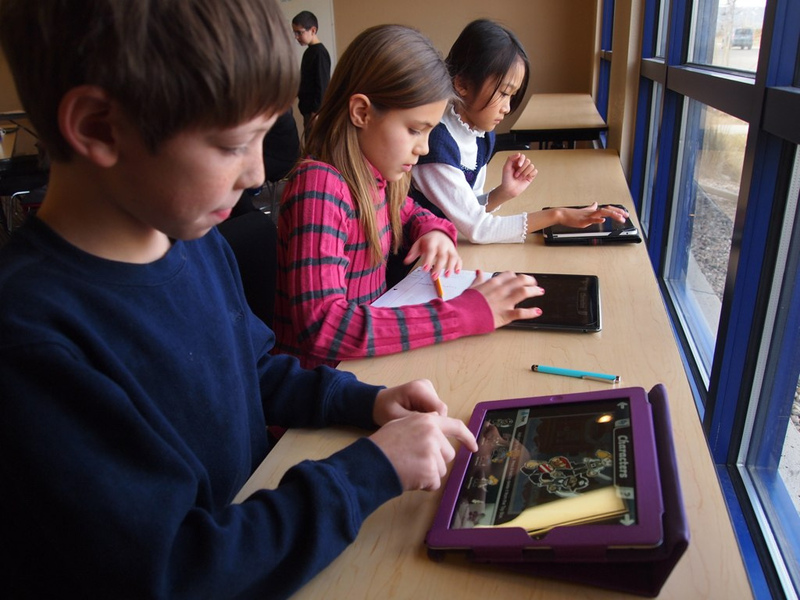 What challenges do you foresee taking place as students create projects on the iPad? How will the iPad assist you in gathering formative assessment data?